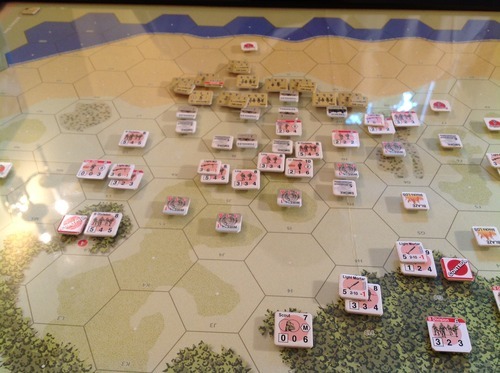 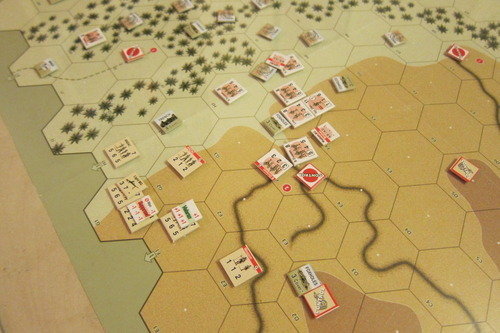 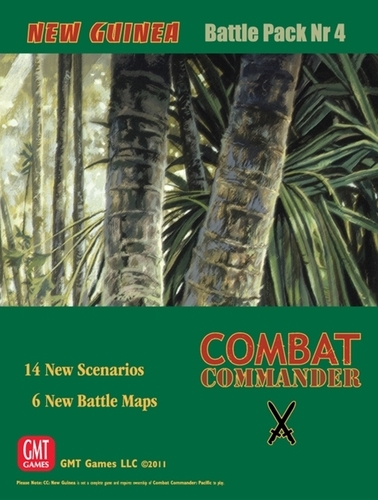 Rules relevant to the characteristic fighting in the coastal jungle versus the highlands are included as needed for each scenario, without the need of an additional rule booklet. 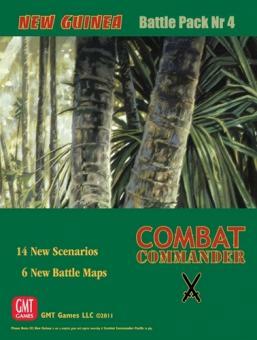 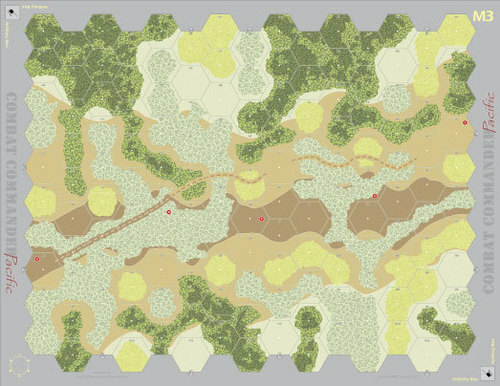 A number of unusual, creative special scenario rules cover the unique situations represented, including Air Supply, Barge Landing, Canebreak and Coastal Jungle, Emplaced M3 Tanks, Joint Allied Operations including the Papuan Infantry Battalion, Patrol Dogs, Swamp Holes and Swamp Forest. 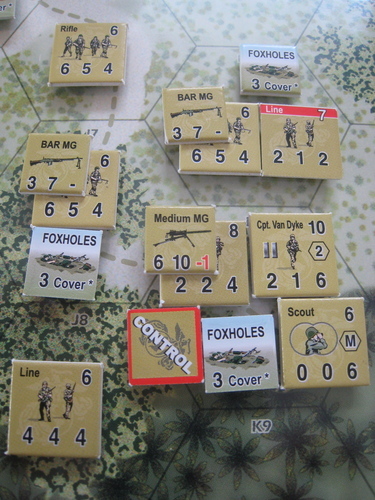 * M14 – “Encirclement of Troop C” set on the Driniumor River, featuring a Troop of US Cavalry trying to stave off being surrounded by Japanese units that had surprised them by walking casually into their positions, 21 July 1944.